I could not have seen Crypt of the Necrodancer coming from miles away. 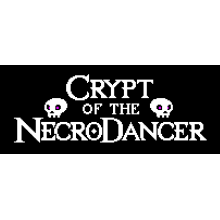 A “rogue-like-lite-light-kinda-Rogueish” or whatever forum-going arguers arguers are saying these days, Crypt of the Necrodancer combines rhythm mechanics with old school RPG elements a la Castle of the Wind or the more recent Dungeons of Dredmor. It is a relatively simple, grid-based dungeon crawling RPG, and like the other games you simply move from tile to tile to activate environmental items or attack. Traditionally in this genre, when you move, everything else moves immediately after, a sort of clockwork manual-turn based system. 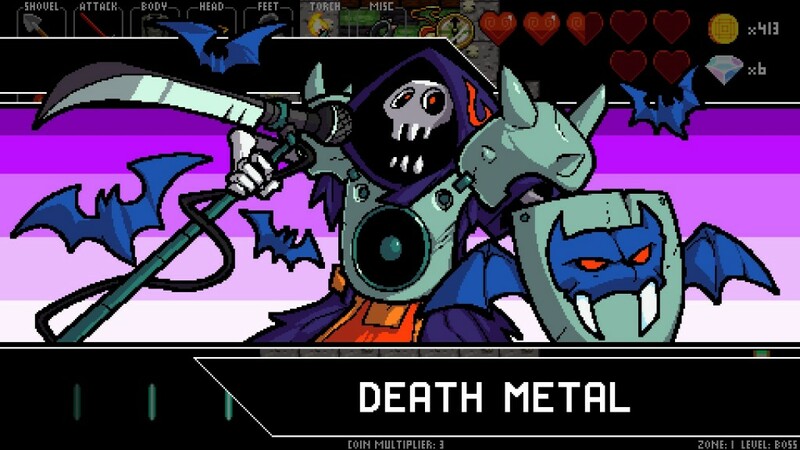 Where Crypt of the Necrodancer changes things though is in its beat. Overpowering, awesome music courtesy of Darren Baranowsky (of Binding of Isaac soundtrack fame) dictates the movement of the game. The player must move to the beat or lose certain bonuses, and enemy movement patterns are similarly locked to the music. Further, the number of coins you earn, which can be used to purchase important items, is determined your adherence to the beat. Miss a beat and you lose your multiplier for money drops. Thus, fighting through the game’s four major stages, each composed of three levels, is a mix of reaction time, planning and adaptability. As all rogue-…whatevers are, the levels are randomly generated and have a plethora of items to be found. 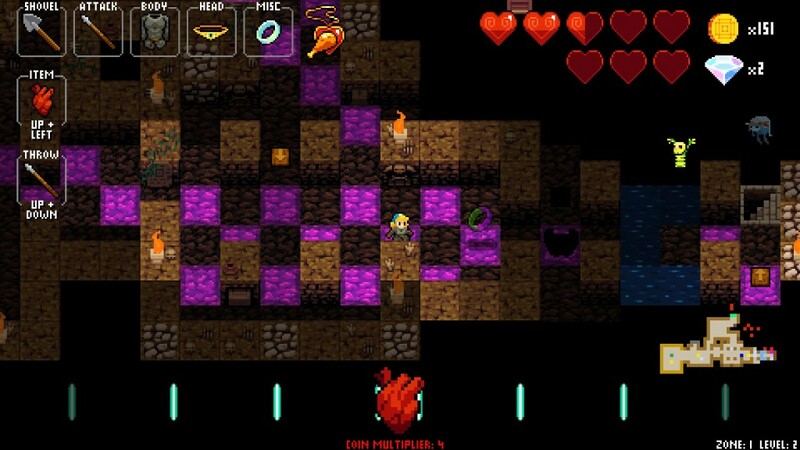 The player can purchase items in the main hub area before starting a run to make sure they have a chance to spawn, but what actually appears on any given floor will be up to luck and the player’s determination to find everything before the song ends and they are dropped to the next floor. And that would be a problem. When the song ends, the player is automatically dropped through a magic trap door to the next stage. If the boss of the previous level lives on, then they are forced into a fight with four powerful monsters. If the boss is dead, they’re kosher like Moses at a Saltine factory. It adds both urgency and strategy to each floor, as the player must not only determine the best way to kill all the enemies, but the most efficient way to collect all the resources on the map without incurring a major penalty. With all of these interesting mechanics, it boggles my mind that the inventory system is as fun as it is. While the player can only move in cardinal directions, what items they pick up will vastly change their movement patterns and inputs. Special one use items and magic, which range from line clearing fireballs to health restoring potions, are activated by multiple button presses, further enhancing the Dance Dance Revolution comparisons by forcing players to add complex inputs to the rhythm. And weapon pickups not only change the character’s power, but forces the player to think about their movement differently. For example, if you find a whip you able to attack horizontally multiple tiles, which requires you to completely reevaluate how you approach any given engagement. Given how many monsters types there are, you’ll be forced to reevaluate many things as you progress. There is a huge number of monsters to fight in the game, and each has their own unique movement patterns and rhythms to deal with. Even pallete swap monsters often require completely new strategies to safely fight. On top of this are a number of unique and interesting mini-bosses, main bosses and a great, if frustrating, final boss fight, all of which utilize unique mechanics. Did I mention the music part? By that guy, Darren Baranowsky? Well, let me tell you, it’s great. It spans multiple genres from area to area, with each floor having a unique track, and some floors even having multiple versions of the song based on the tile you’re standing on. BUT WAIT THERE’S MORE! Not only does the Baranowsky soundtrack have multiple remixes from various artists, but you can even load songs into the game to play with. I haven’t played with this feature too awful much, as the soundtrack is so good I haven’t really felt the need, but the fact that it’s there is cool as hell. On top of this core gameplay is a hub world where you can select over a dozen unlockable characters, each with their own unique mechanics, practice against specific monsters, activate a local co-op mode or do unique challenges. There’s a lot of game in here. 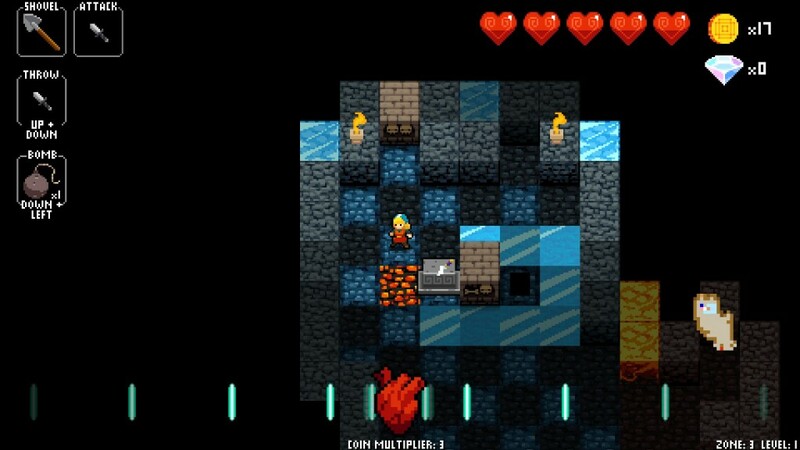 If I could level one criticism at Crypt of the Necrodancer, it would be the diamond system. As you play, you can pick up diamonds, and when you die you can spend them in the hub world. This gives you access to monster practice sessions, opens up items to be spawnable in the world and gives you some permanent character upgrades like increased coins multipliers or more health. However, you very quickly run out of uses for diamonds, as there are very few upgrades and not so many items that you won’t unlock them after a few hours of play. 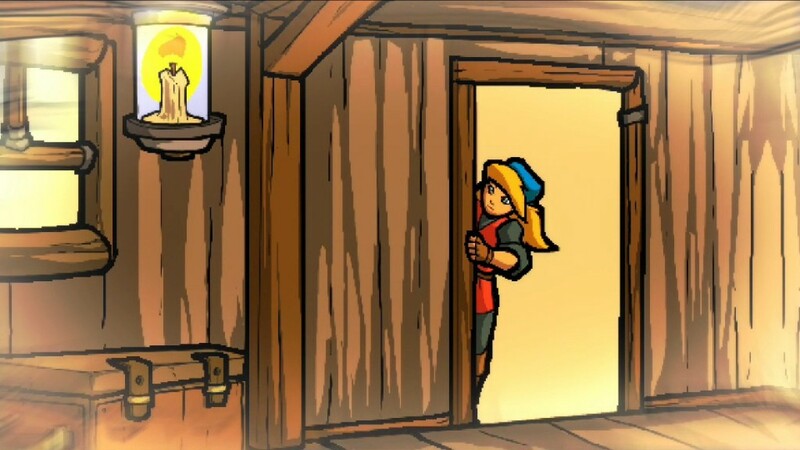 It seems like a system that was put in for the sake of giving the player a sense of progression for the sake of progression, and thus feels shallow and uninteresting. However, this is a minor quip against a game that is interesting, innovative and fun, differentiating itself in a sea of ROGE-rogue-like-life-light-lites in a way I didn’t realize was possible.